I enjoy painting yesteryears. It is my goal for the viewer to be taken on a journey of days gone by. Photographs, creating a sketch and design a painting from the process. 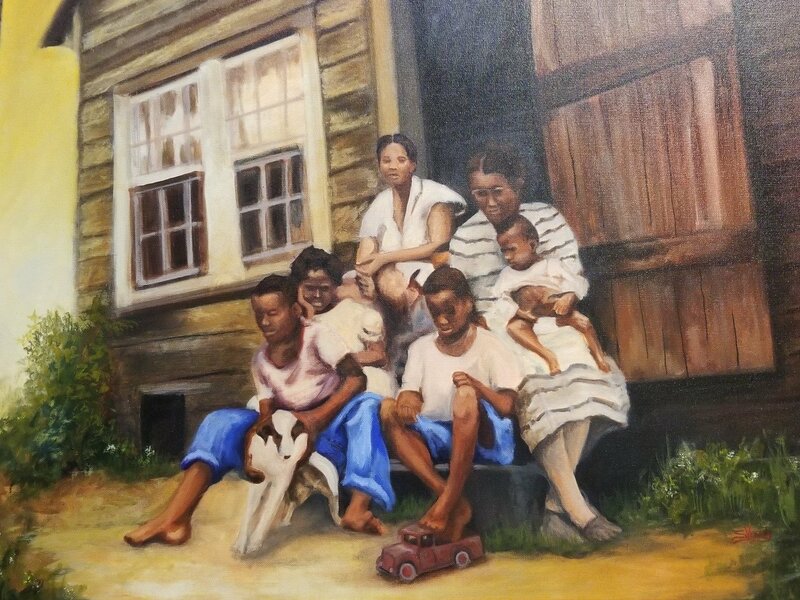 2012, Third Place, Women Fine Arts Competition, Artists United For Christ Inc.
Stephanie G. Yearby, is a native of south Louisiana. Her artistic talents developed from the roots of her parents, who were performing and tapestry artists. She desired to be an artist throughout her education. Taking private lessons in elementary school and focusing on art in high school. She went on to pursue a Bachelor of Fine Arts from the University of Louisiana at Lafayette, La. Certified Art Education from Southern University, in Baton Rouge, Louisiana, and a Master of Arts Degree with emphasis in Teacher Leadership from Grand Canyon University, of Phoenix Arizona. 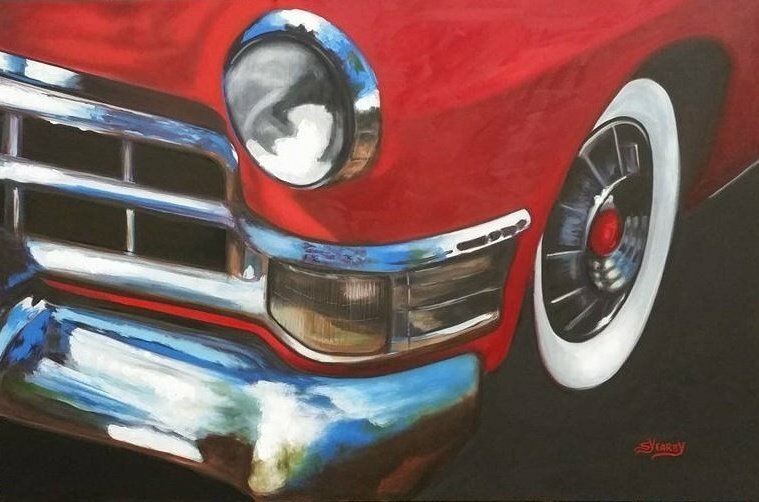 Stephanie is a member of the Creative Art Center of Dallas, Texas where she studies under artist mentor, Dave Kramer. She has been an Art Educator with the Dallas Independent School District for Twenty Eight years. She enjoys painting yesteryears of African American people. The most influential person in her art profession, was her high school art teacher, David Wargo. She was also influenced by American Illustrator, Norman Rockwell, American Photojournalist, Gordon Parks and contemporary artist, Kehinde Wiley and the late Arthello Beck. Their subject matter of African American themes of everyday life and culture in America during the twentieth Century ignited visual imageries that motivate Stephanie to paint. Her artistic philosophy that she desires to accomplish is to take the viewer on a creative visual journey of African American genre, and share her creative gift from God.